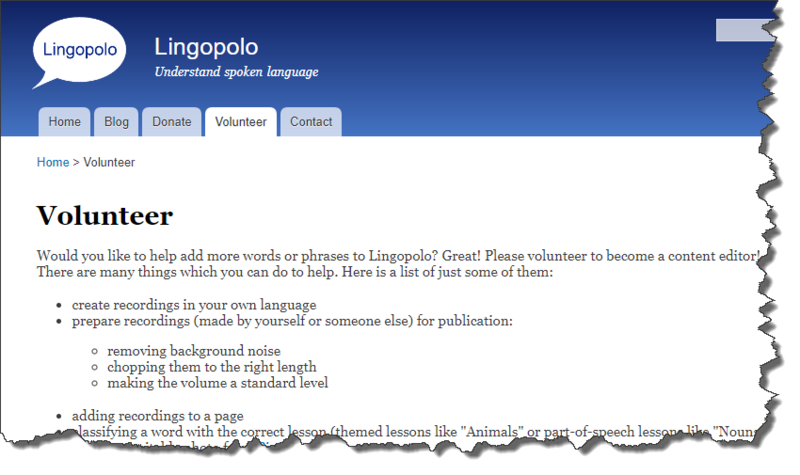 Now that Lingopolo has become free, we are going to be increasingly reliant on volunteers to help add new recordings and to do all the work around publishing them. To that end I have created a new page specifically to invite volunteers. I am excited and extremely pleased to announce that, as of today, Lingopolo becomes 100% free. Previously there had been a monthly or annual membership subscription if you wanted to use Lingopolo. But no more; it is now 100% free. Why? How, then, is Lingopolo going to make money? For the why, let me first explain a little bit of history and my original plans. Lingopolo French now has over 8000 recordings! I am very happy to announce that Lingopolo French has now over 8000 recordings! Check out the French Statistics page for the latest number. Nearly 2 years ago, in our blog post of April 2015 we announced over 4000 recordings, but now we have double that number. Read more about Lingopolo French now has over 8000 recordings! One of the latest features in Lingopolo is course timers and locks. The problem previously is that you would be faced with lots of courses, some of which you might have studied a bit, and some not, and you never quite knew where you should be studying next. The introduction of course timers and locks will show you exactly where you should study. I am pleased to announce that the Lingopolo courses have now been broken up into lessons of 10 words each. This will make it much easier for you to learn the language in bite-sized chunks without getting overwhelmed by the huge number of words in any given course. 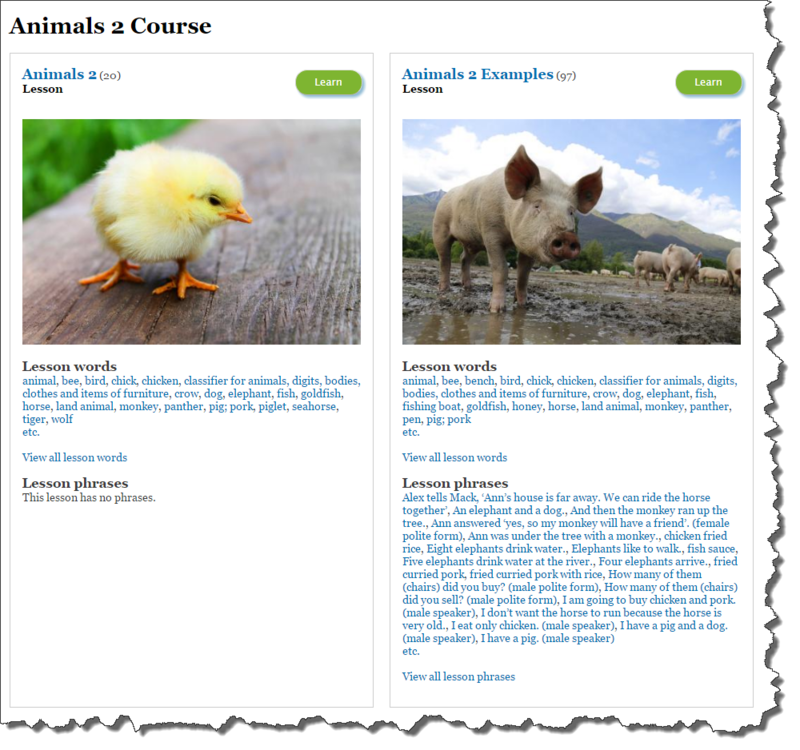 I am delighted to be able to present to you a beautiful new course page design. Basically the idea is to display a lot more courses at a glance. 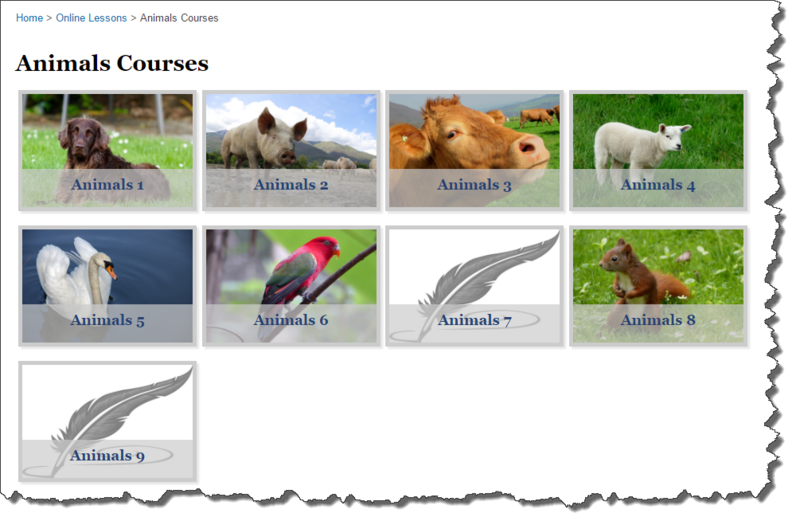 This will make it easier to select the course you want without having to scroll and scroll.